By Chris Pentago in Concept. Updated on August 3, 2018 . 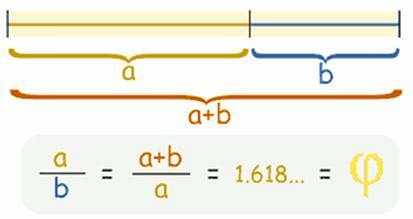 Expressed as an equation, when a is larger than b, (a + b) divided by a is equal to a divided by b (just look at the image below), which is equal to about 1.618033987. 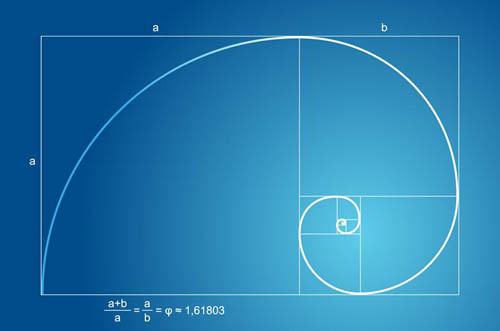 That number, often represented by the Greek character "phi," is the golden ratio. In truth, scientists aren’t sure what it is about the ratio that humans like so much. What they are sure about is how much we like it. Studies suggest that even minute changes to an image making it truer to the golden ratio have large impact on the brains of those looking. The human face follows the ratio as well, and we find people whose faces are truer to the ratio more attractive. Seashells, classic Renaissance masterpieces, architecture from antiquity, and even human body parts are proportioned based on the ratio down to the fingers themselves. 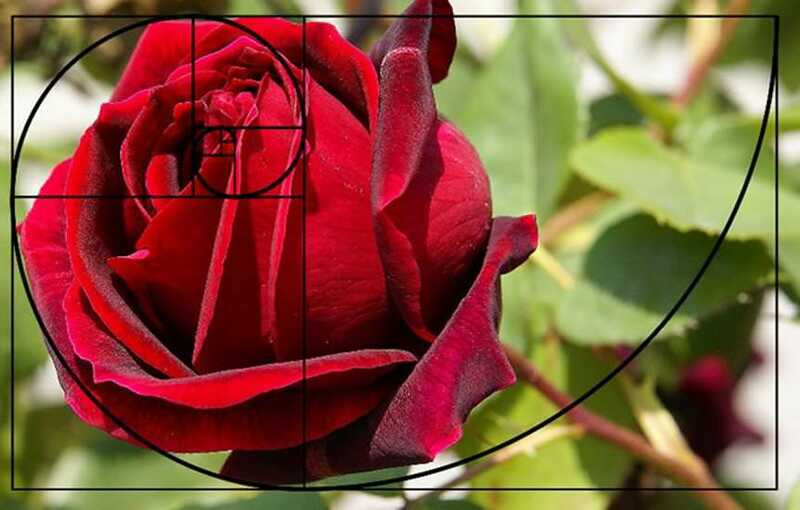 Something deep in the core of our mind registers the golden ratio as beautiful, a fact artists and architects have utilized for thousands of years, knowingly or not. It is primal language in imagery. The result is organic, intuitive, and just feels right. 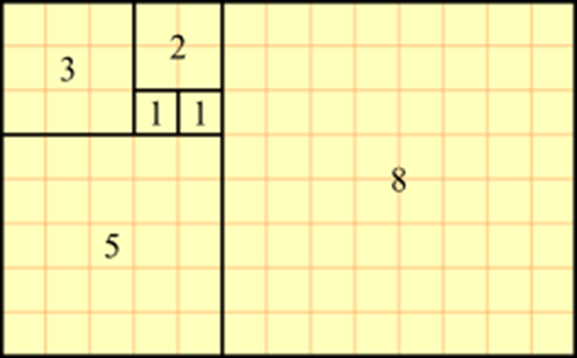 If math isn’t your cup of tea, the concept of the golden ratio can be simplified. The rule of thirds governs the placement of points of interest in a scene. 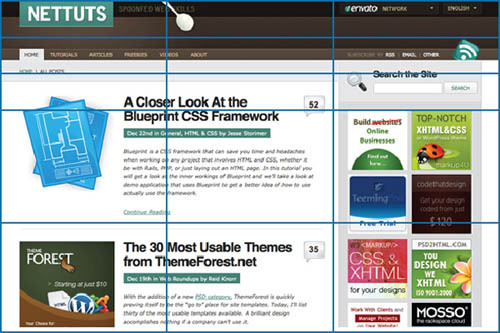 Divide any given image into thirds both horizontally and vertically. You’ll get 9 grids. 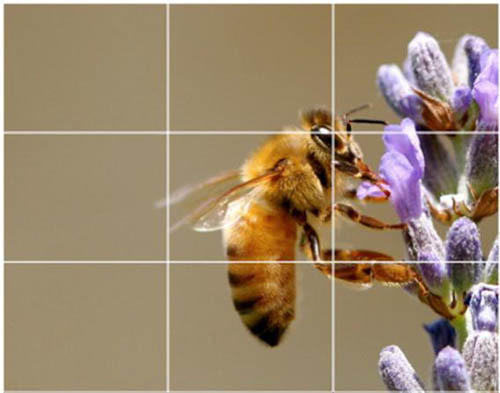 According to the rule of thirds, the vertices of those lines (where the lines cross) are the ideal placement for points of interest. People scanning the page are more likely to notice things placed near the points, and the division is comfortable to view. More complex design is possible by breaking down those thirds into further thirds. In short, the eye can be lazy and not have to search for important details. Our brains like this. Major images, news boxes, search bars and any other points of interest can be nestled on or near the vertices. This neat little shortcut will give you a design that is both easy on the eyes and makes people drawn to key pieces of data. The spirals have been used in artwork for as long as the numbers and ratios themselves. The theory is that areas of negative space and visual interested should fit within the spiral. Within this graceful layout, as with the rule of thirds, the eye is naturally drawn to the center of the spiral to look for details. Editor’s note: This post is written by Chris Pentago for Hongkiat.com. Chris is an experienced web developer, designer and internet marketer interested in key technologies to make your online business perform.You can find him on Twitter.